Not sure what you need? Let KCG help you chose the right system for your business. 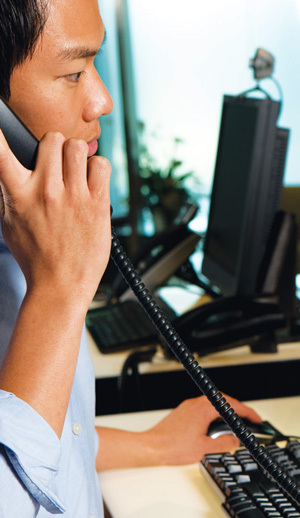 Not every business needs the most expensive, feature heavy communication systems. KCG can fit the system to your business. Voice Over IP is a new from of phone communication that transmits voice and multimedia over your current internet lines. KCG is an expert in connecting new and current customers to this emerging technology. In today’s highly competitive business environment, effective communication is critical to the success of your business. The more efficiently your business handles its communications, the greater your organization’s chance for success and the more effective your messaging becomes. The consequence of slow message returns, misunderstood or lost messages could mean a loss of business. Businesses today demand efficient, seamless communications that facilitate rapid decision-making and customer responsiveness. Networking extends your reach to remote offices and mobile workers while providing increased efficiency and feature transparency – regardless of the primary unit’s physical location.